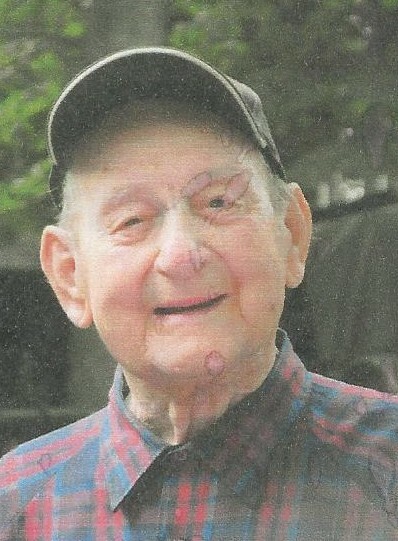 Curtis H. Conklin, 92, of Gouverneur, died on December 20, 2013, at his home. Curt is survived by his wife Beverly (Jenning), sons, Edward and his wife Ruth Conklin of East DeKalb, Norman Conklin of Watertown, daughters, Vickie Comacho of Arizona, Cheryl and her husband Carl Clark of Harrisville, stepdaughter Christine and her husband Richard Matthews of Clayton, 15 grandchildren, 3 step grandchildren, 19 great grandchildren, 5 great great grandchildren, several nieces and nephews. He was predeceased by a stepson Danford Thornton, brothers Charles Conklin, Grafton Conklin, sisters, Fern Thompson, Elva Pelkofski, Doris Bowman, Ellebell Stuhldreher, Eva Cunningham, and a half sister, Edith Denesha. He was born on September 9, 1921, in the Town of DeKalb, the son of Rosco and Vida Holland Conklin. He married Isabelle Hall which ended in divorce; he then married Beverly Thornton on May 16, 1964 at the DeKalb Junction United Methodist Church with the Reverend Best officiating. Curtis was a mental therapy aide at Marcy Psychiatric Center for 10 years, until his retirement in 1976, prior to that he farmed on the Maple Ridge Road for 40 years. Curt was a member of the Elks Lodge in Gouverneur, and the Moose Lodge in Utica. He loved going to the casino, hobby farming, animals, playing cards and family gatherings. Contributions can be made to Hospice and Palliative Care of St. Lawrence Valley. Howard T. Meade, 91, of DeKalb Junction, died on December 1, 2013, at Maplewood United Helpers, Canton. Calling hours will be, Tuesday, December 3, 12 -2 PM at the funeral home. A graveside service will be Wednesday, December 4, 10:00 am at Union Cemetery, DeKalb Junction, Lay Minister John Frary officiating. Howard is survived by a son, Thomas B. Meade and wife Ruta Ozols, Canton, grandchildren, Thomas Meade, Laura Meade, Christy Bryant, Carrie Bryant, and Rick Jones, several great grandchildren, nieces and nephews. He was predeceased by a son, Robert N. Meade, and daughter, Patricia Bryant. He was born on September 7, 1922, in Gordonsville, VA, the son of Thomas E. and Delia Cox Meade. He was in the Army during WWII. He married Mabel F. Fletcher she predeceased him. 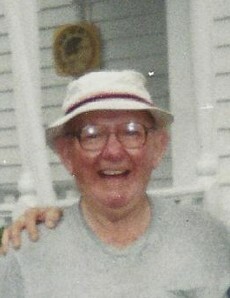 Howard worked at Natural Dam Paper Mill until his retirement in 1984. In lieu of flowers contributions can be made to the Potsdam Animal Shelter. Howard’s family would like to thank the caregivers at Maplewood and with special thanks to Ashley, Kateri, Amanda, Bonnie, Sue and Janice.